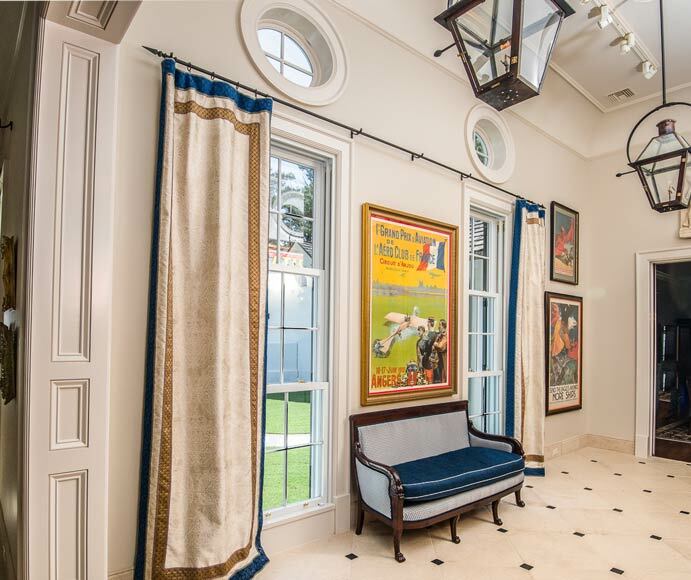 The David Residence in Louisiana is an exquisite example of the French Creole regional architectural style, and Parrett was honored to be able to manufacture window units that perfectly met the specifications of Pan American Engineers LLC., who were responsible for the new addition to this residence. Parrett manufactured both pivot oval windows and weight & chain hung windows for this residence. The pivot ovals were equipped with multipoint locking hardware that ensured both ease of operation and exceptional weather sealing performance. Parrett’s weight & chain window design ensured that all units operated smoothly and easily regardless of window size. This was especially important with the larger triple hung windows on this project which were approximately 10 feet tall. Double hung windows in both archtop and rectangle shapes perfectly matched the sightlines of the triple hung windows. 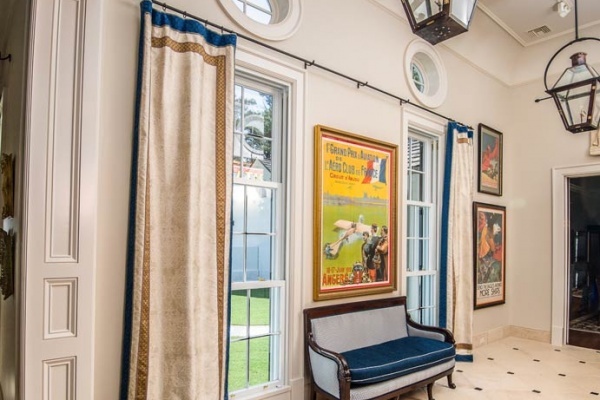 All hung windows featured high-performing lacquered brass locks and lifts as well as window screens consisting of wood frames with bronze metal mesh. All window units were constructed of Spanish cedar, an optimal wood species for the environment that these windows were installed into. Parrett’s high-performing paint was factory applied to both the interior and exterior of the windows to help ensure longevity to the elements. A narrow 7/8” wide TDL (true divided lite) bar was utilized with the monolithic laminated glass, providing a less obstructed view compared to that of a wider TDL bar.